ORX3 BYC970B SFF443 (1957) Bedford SB8 . 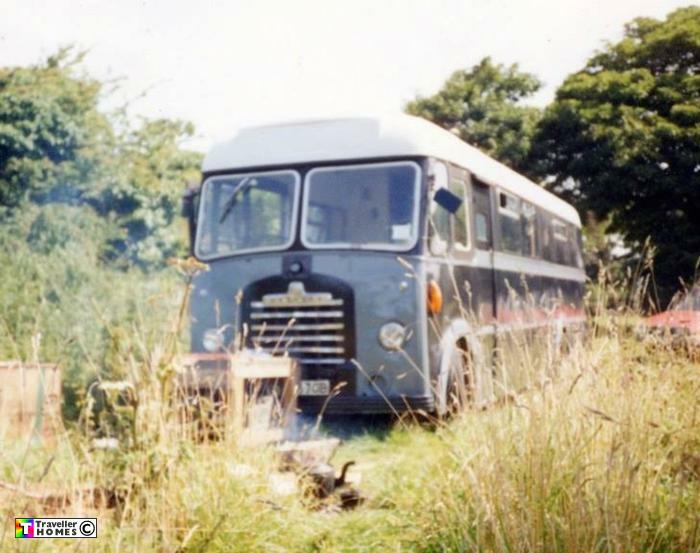 Duple Midland B42F. Ex-AERE . Harwell Seen 1992 Lechlade . Previously owned by Ben . Vicki later painted her bus blue to match the others in the 'Rhythm Doctors' band touring Europe in the winter 92/3 . Then sold it to Julian & Cookie who took it reg'd as SFF443 to Portugal 1994/5 . Later scrapped . Photo = Vicki .